On the track READY TO REIGN was a Sydney Metro winner who also won as a 2yo with a total of 5 wins from 1200m to 1800m. 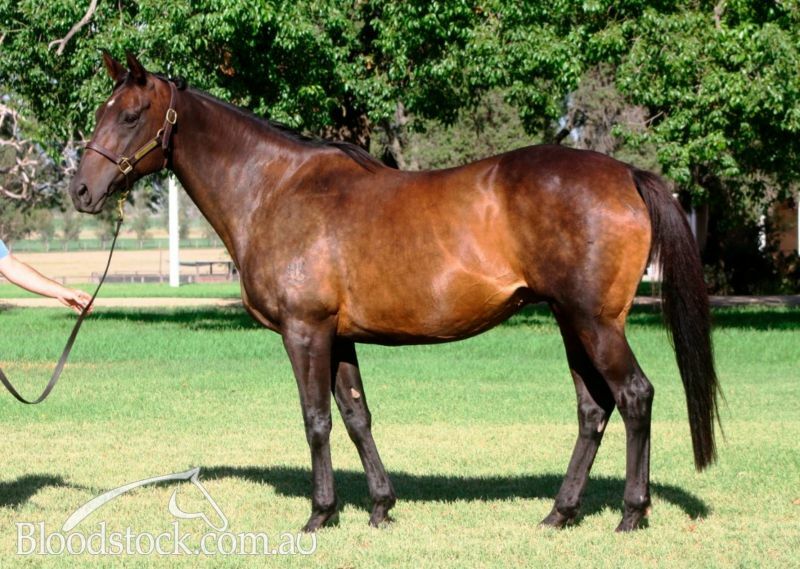 She is the well put together Mare by outstanding Group 1 Sire and Broodmare Sire MORE THAN READY with 24 G1 winners to date and 191 Stakes Winners. He is one of our most successful BM Sires and will remain towards to top Leading Broodmare Sires based on the outstanding quality he has already produced and has coming through. MTR is a proven source of precocious 2yo's as a Broodmare Sire with Elite fillies such as G1 Blue Diamond winner Miracles Of Life, G1 NZ Sires Produce winner LUNA ROSSA and $2,000,000 2yo Magic Millions winner EXHILARATES who is one of the favourites for this years Golden Slipper. She has been extremely well matched to CASINO PRINCE, in our opinion easily her best Stallion mating to date, targeting the same key strengths in both Sire and Dam. 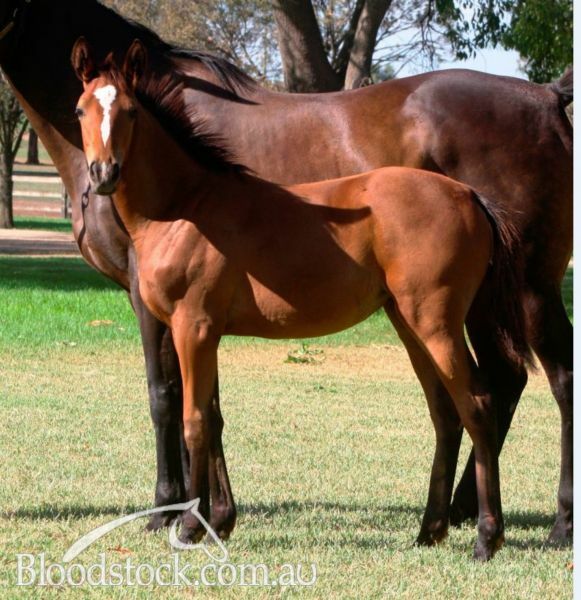 The result is this quality Filly born on the same day as her dam who based on pedigree will quickly mature and be ready for the racetrack as an early 2yo. For more information on this quality package please contact Royal Bloodstock. Ready to Reign (f by More Than Ready (USA)). 5 wins. See below. MR DANCER (c Danzatore (Can)) 3 wins-2 at 2-to 1200m, SAJC Morphettville P.H., L, Heir Apparent H., 2000 Series H., 3d SAJC Parvo S., Rangers Son H.
Source of Divorce. 9 wins to 1400m, A$172,910, VRC Aurie's Star H., VATC Coles Supermarket H., VRC Newhaven H., Russell Greene H., WATC Swan Lager H., KG (Bill) Anderson Memorial Welter H., 2d WATC Chrysler Jeep Sprint H., Welter H., VATC Geoff Murphy H., 3d VRC Geoffrey Levett H., WATC Chrysler Jeep Quality Sprint H., VATC Silvan Pumps & Sprayers H.
King's Pawn. 7 wins from 1250m to 2050m, SAJC Miss Clipper H., Dancin' Feet H., Newstone H., Prudential S., Forextra H., MVRC Combined Auxiliaries H., 2d VRC Elms H., MVRC Trentham H., SAJC Eagle Blue P., Pick the Tick S., 3d MVRC LV Simon Builders H.
Curvy Girl. 3 wins at 1200m, 1400m, WRC Sunglass Store 3YO H., Waikato RC Pathways to New Zealand Ltd H., 3d AJC Thrifty H., Princess d'Or H., Waikato RC Hugh Gilmer Memorial H. Producer. Queen Sissie. Winner. See above. Makin' Love. 3 wins at 1800m, 1900m, 2d QTC Sir James Hardy Wines H., Qld Tatt's RC Sky Channel-Tattersalls H., BTC IPG Print H., 3d QTC The Guida H.-twice, Ipswich TC Franz Felfer Optometrists P.
Tychos. Winner at 1200m, 3d Matamata RC Lowe Schollum & Jones P.
Best for All. 2 wins at 1200m, 1400m, HKJC Shantou H., D'Aguilar H., 2d HKJC Lantau Peak H., Mount Gough H., Starlight H., 3d HKJC Pok Oi Cup H., Yuno When H., Audemars Piguet Perpetual Calendar H.
Frangipani Bay. Winner at 1250m, 2d WATC San Society H., Fanta H., Vornette H., 3d WATC Ruby Room 2YO H.
Palace General (g General Nediym) 13 wins to 1100m, A$245,155, VRC Piastre H., MVRC Tatts Group Flying H., Simon Wragg & Associates H., AJC Club Zebra H., Randwick Betting Auditorium Welter H., SAJC Carbine Club H., Myer H., 2d Mornington RC Hareeba S., L, AJC Canadian Club H., SAJC Chambord H., 3d VRC Taj Rossi H., MRC Winning Edge Presentations P.
No Intention. 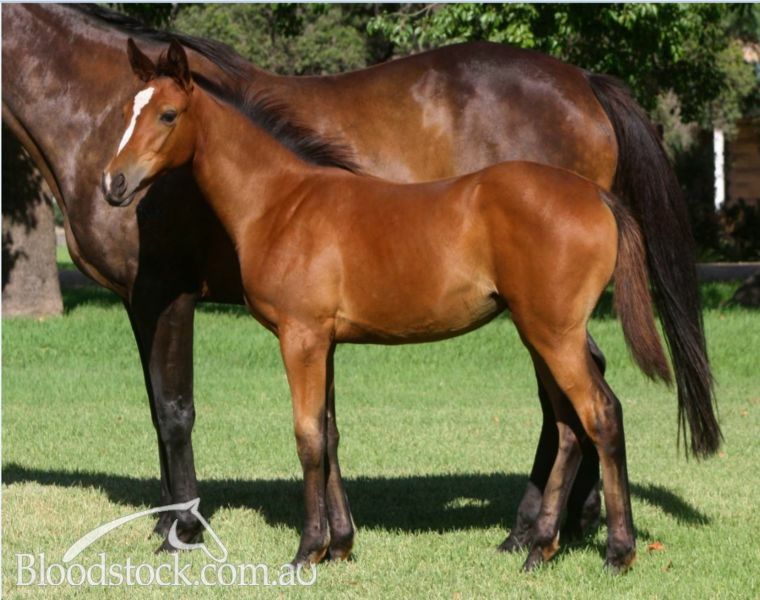 14 wins-1 at 2-to 1300m, A$157,415, QTC Cannon Hill Pharmacy H., Avondale H., 2d Qld Tatt's RC Express Post H.-twice, QTC Zamoff Welter H., Gunsynd H., 3d BTC Quick Fit Tyres H., Arthur Andersen H., Trans Continental Hotel H., Pedigree Guide Dog H., QTC Santa Anita H.
ENTRANCING (f Bright Finish (USA)) 10 wins from 1100m to 2150m, A$129,910, WATC Champion Fillies S., Gr.2, 3d Western Australian Oaks, Gr.1. Producer. GILDED LILY (f Bletchingly) 4 wins at 1000m, 1200m, VATC Jewel H., L. Producer. SHESH BESH (c Commoner (USA)) 13 wins from 1200m to 2250m, A$171,395, Qld Tatt's RC Recognition S., L.
WONDERFUL SURPRISE (II) (g Atilla (GB)) 9 wins-1 at 2-from 1200m to 2200m in Aust. and Malaysia, Singapore Gold Cup. So Tempting (f Without Fear (Fr)) 3 wins. See above. BRAVE EXPECTATIONS (c Brave Salute) 6 wins from 1500m to 2400m, A$183,645, Onkaparinga Cup, L, 3d South Australian Derby, Gr.1. Race Record: 5 wins from 1200m to 1800m, A$95,760, AJC Eastlakes H., 2d STC Retirement Show 2YO H., 3d AJC Unearthly H., Casula H.
Produce Record: Dam of 3 named foals, all raced, 2 winners. 2012 Of the Realm (g by Excites). Unplaced. 2013 Sun and Heir (g by Haradasun). Winner at 1350m in 2018-19 in Aust. 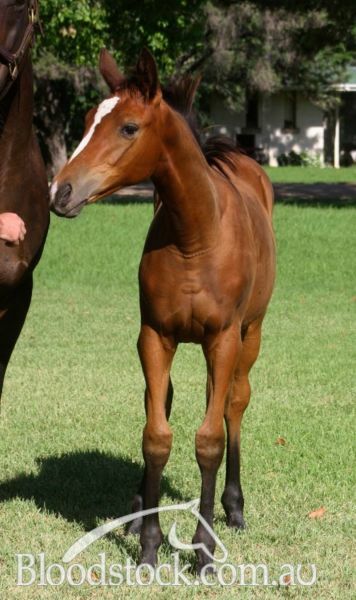 2015 Polhampton (f by Equiano (Fr)). Winner at 1300m in 2018-19 in Aust. 2016 (f by Excelebration (Ire)). 2018 (f by Casino Prince). Served by Choisir. Date of last service, 24.11.2018.